What’s in the park today? A dog? A duck? AAAARGGH! A SHARK! 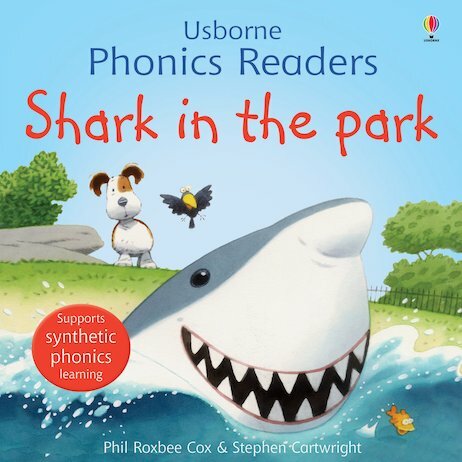 Full of easy words to rhyme and repeat, plus the colour-drenched artwork of favourite illustrator Stephen Cartwright, this vibrant first phonics story will delight newcomers to reading. Developed in consultation with educational psychology expert Dr. Marylynne Grant, it introduces children to the everyday sounds which make up written language. The entertaining story features cuddly animal characters and lots of folding flaps to lift – a surefire way to enthrall young learners!